Immediately after completing the exam, you will be informed of your score and of your pass/fail status. 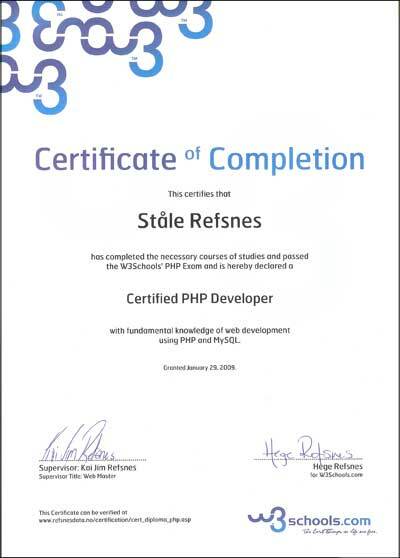 If you achieve certification status, W3Schools will ship you an PHP Developer Certificate. 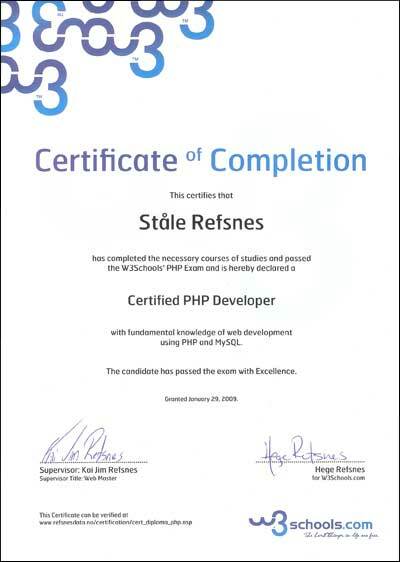 The document will contain your personal data acknowledging your status as a Certified PHP Developer. To register for a PHP exam, you must register with your email address.